The Payout information page in the Verotel Control Center lets you set up the way Verotel sends the funds that your account has earned. The update to this page, that we have just released, simplifies and speeds up the process of entering and updating the information we need to send you payouts. Please keep your payout information up-to-date in order to receive your earnings correctly and on time. We are improving the tools you use! The Verotel Control Center is getting better. We have made significant changes in order to improve its performance. You should notice that the Control Center is now significantly faster and much more responsive. We are constantly updating and looking for ways to make the Control Center faster and easier to use. If you have any questions or suggestions please let us know and email us at merchantsupport@verotel.com. In the Verotel Control Center you can manage your account, generate reports, and track your subscribers, invoices and payments. Previously, we added a report listing the recent sales, i.e. the recent new subscribers. We have just added a new page showing the recent rebills (recurred transactions), to make it easier to track rebills. This report is now available in the Control Center in Sales > “Recent rebills” . If you have any trouble locating this new feature, please contact merchantsupport@verotel.com for help. Did you know that you can let your customers choose their own Usercodes and Passcodes? The user credentials can be automatically generated, or you can optionally allow customers to select their own. Or, you can require customers to select their own by making the custom credential fields mandatory. You can configure this setting for memberships on the Order page setup page under the Website setup/Website detail section in the Control Center. When setting up your subscription or FlexPay payment options, you can select the currencies that will be offered to your customers, when paying by Credit Card, based on the countries they are coming from. 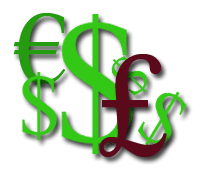 Until now the following currencies were available: USD, EUR, GBP, CAD, CHF, DKK, NOK, SEK. We have just added a new sale currency: the Australian dollar (AUD). You can now create subscriptions in AUD and use AUD in FlexPay and API setups to attract customers from Australia. Should you have any questions, feel free to contact merchantsupport@verotel.com. 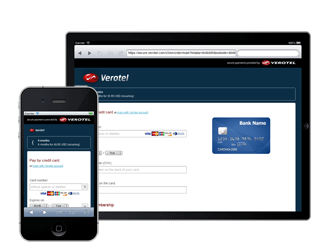 We are happy to announce a new version of the Verotel Order Pages optimized for the use on Mobile devices. The new design is now available to all our customers. These Order Pages will work on mobile phones as well as tablet computers enabled with internet. We here at Verotel know that there is a growing number of mobile users, so we incorporated this to bring our services to the next level of technology. Mobile devices are automatically detected and buyers are redirected to the appropriate Order Page. The content of the page uses a new responsive design allowing it to dynamically change for maximum usability on various display sizes.